SEEDS is registered Voluntary organisation working for the welfare and development of women, children and farmers in Tamilnadu state, India. Documentation, Reporting, Agriculture value chain study, web site creation, crowd fund raising, online fund raising, Blogs. 1/435, Lakshmi Nagar, Athipatti, Sempatti - (Po), Aruppukkottai - 626 101, Virudhunagar district, Tamilnadu, India., Aruppukkottai, India. 	Reaching 60000 Peoples who involved through SHGs Movement, unorganised women labour trade union, Farmers Producers organizations and financial inclusion. 	SEEDS got a Empanelment as a Producer organization Promoting Institution (POPI) (POPI) to cover three districts by NABARD. With this recognition we have formed 4 FPOs in Virudhunagar, Ramanathapuram and Thothukudi districts with 3150 farmer members. 	Also SEEDS has been empanelled as a Resource Institution (RI) by Tamilnadu Small Farmers Agriculture Consortium (TNSFAC) for promoting Farmers Producing Companies. Under this authorization SEEDS has formed and promoted 3 FPOs in Virudhunagar and Madurai districts with 1700 farmer members. 	Poverty reduction through SHGs Micro Credit Programme with govt and other financial institutions. 	Empowerment of women artisans in hand embroidery associated with ministry of Handicraft, Government .of India. 	Participated National Environment Awareness Campaign (NEAC) project under PEACE Trust and Ministry of Environment and Forest, Newdelhi. 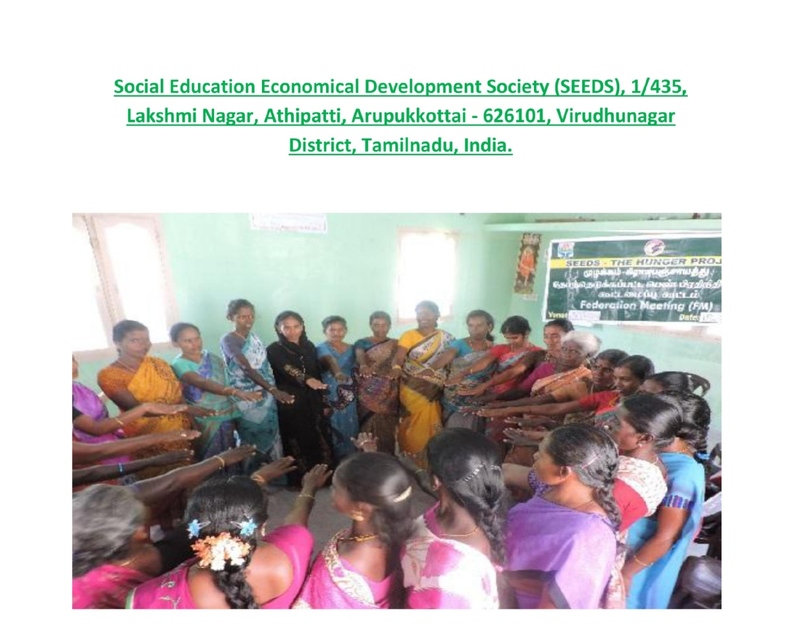 Social Education Economical Development Society (SEEDS) is a non-profit society promoted by Mr. S.D. Pandian, a Sarvodaya Worker who had associated himself with Sarvodaya Movement of Achyarya Vinoba Bhave for nearly a decade. It is to be noted that both his father and grandfather were also Sarvodaya Workers and played active roles in the Sarvodaya Movement. 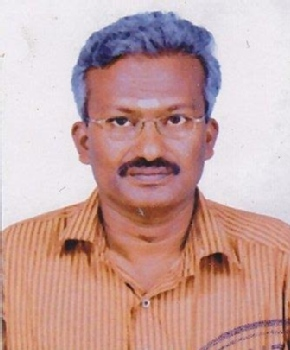 With his rich experience in the Gandhian ideals and principles, he initiated development activities with the help of like-minded individuals in the surroundings of Aruppukottai, Tiruchuli and Kariyapatti Blocks. This initiative of Mr. Pandian gave legal birth of a society under the name and style, “Social Education Economical Development Society” (SEEDS)in the year 1995 under the Tamilnadu Societies Registration Act 27 of 1975. The mandate of the organization is to enable marginalized and disadvantaged rural women to achieve their socio-economic development through a process of organization and participation, and promoting child centered development. In pursuant to this end, SEEDS has been reaching out to more than 60,000 families in hundreds of villages in Virudhunagar, Ramnad and Thuthukudi Districts of Tamilnadu through implementation of different programmes supported by state and central Government and Foreign Funding Agencies and NABARD and other commercial banks and financial inclusion etc. We at Social Education Economical Development Society (SEEDS) would love to hear from you!